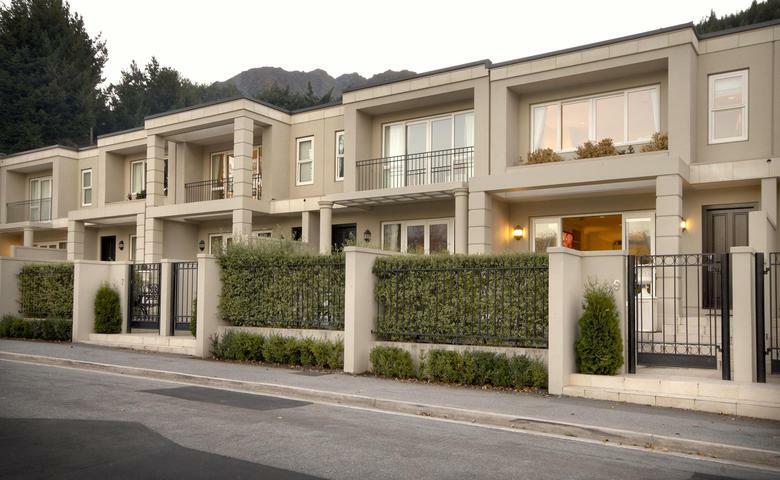 Esplanade Queenstown - each of these magnificant villas is two levels; the upstairs hosts the 3 bedrooms and 2 bathrooms and the ground level comprises open plan living and dining as well as a fully equipped kitchen and courtyard garden. 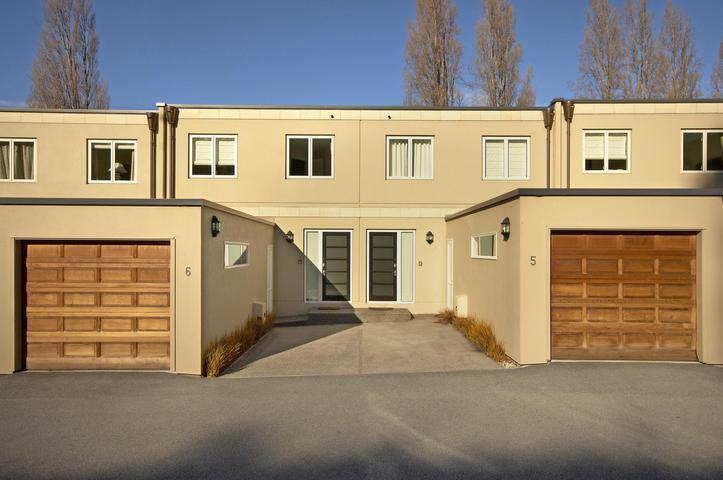 Classic yet contemporary, these very well appointed villas also come with individual secure off-street and garage parking, Sky TV and Free wireless internet. 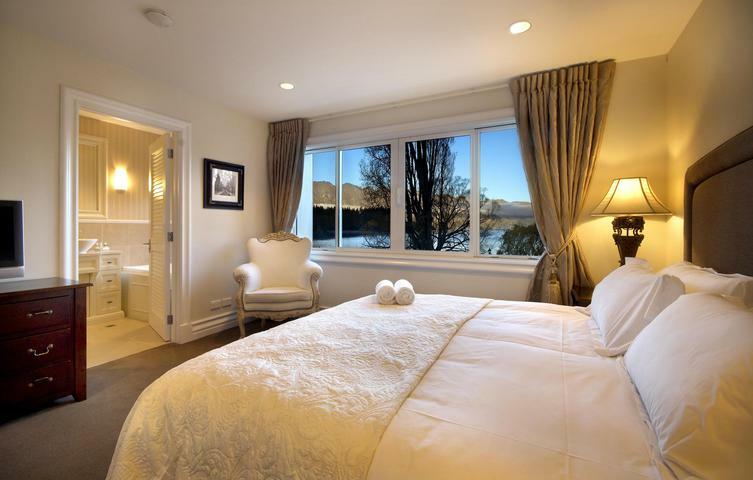 Master bedroom is a king-double, second bedroom is a queen-double and third bedroom can either be set up as a 2 twin-singles or 1 king-double bed. 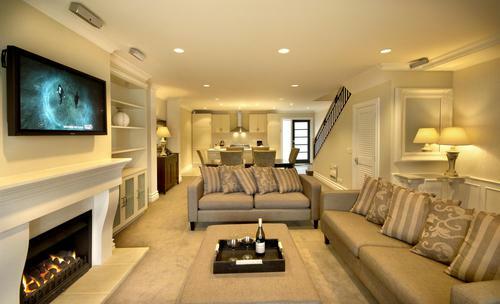 Wireless Internet Telephone concierge and guest services For stays of 8 nights or more, your villa serviced mid stay. 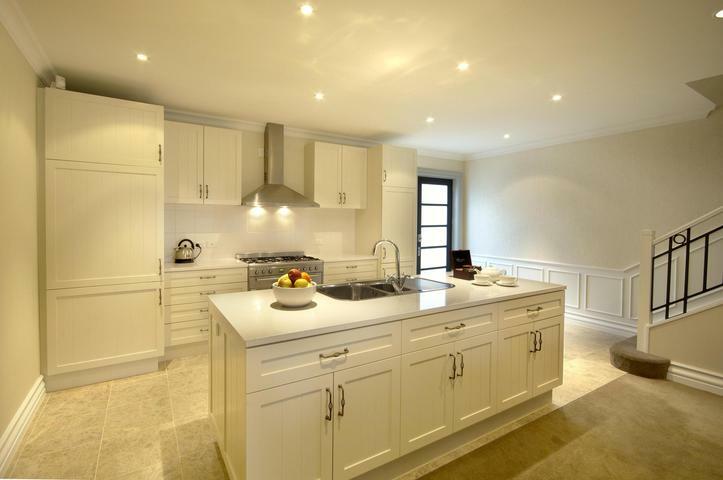 - each villa is two levels; the upstairs hosts the 3 bedrooms and 2 bathrooms and the ground level comprises open plan living and dining as well as a fully equipped kitchen and courtyard garden. 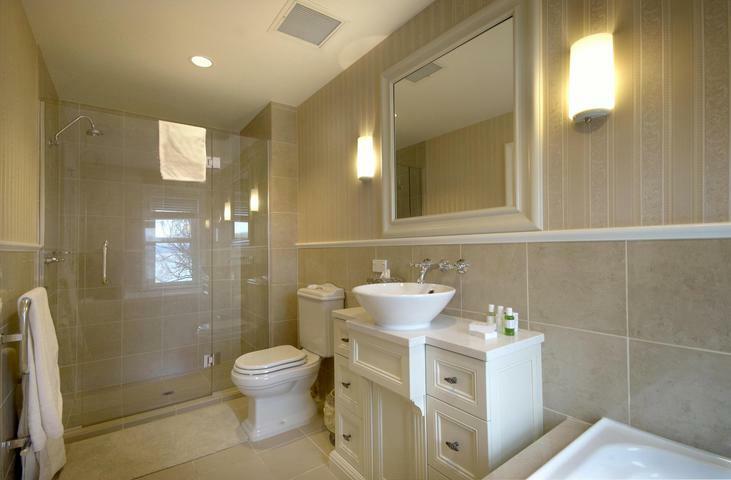 Classic yet contemporary, these very well appointed villas also come with individual secure off-street and garage parking, Sky TV and Free wireless internet. 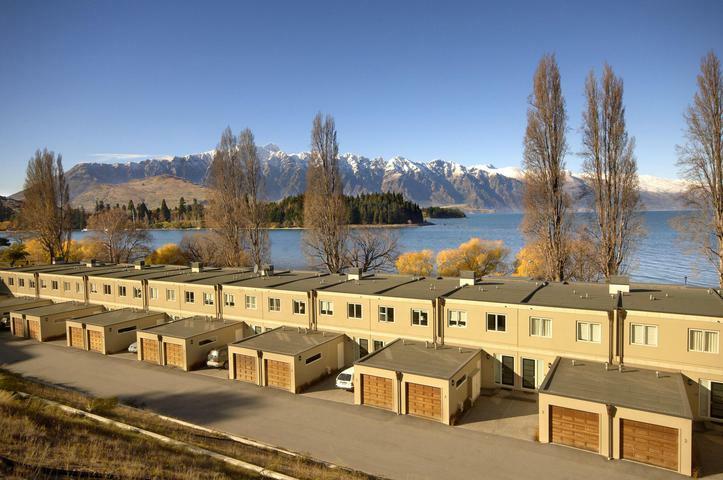 The villas are a 10 minute level walk to central Queenstown. Guest Services is available daily by telephone between the hours of 8am and 8pm. Please download a map from our website, on the Villas/Location page. •	Full Guest information including Names/Home Address/Mobile Phone Number and Email Address must be supplied to Staysouth either at the time of booking or no later than 1 month prior to arrival. 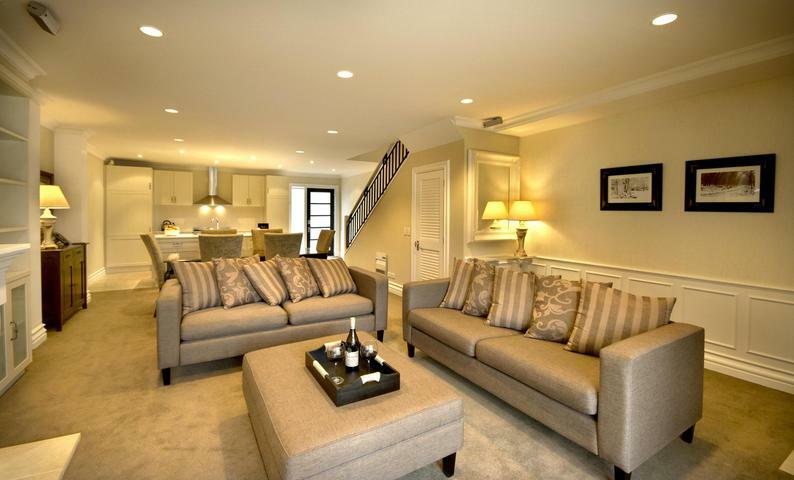 •	There is no on-site Reception at any Staysouth property. 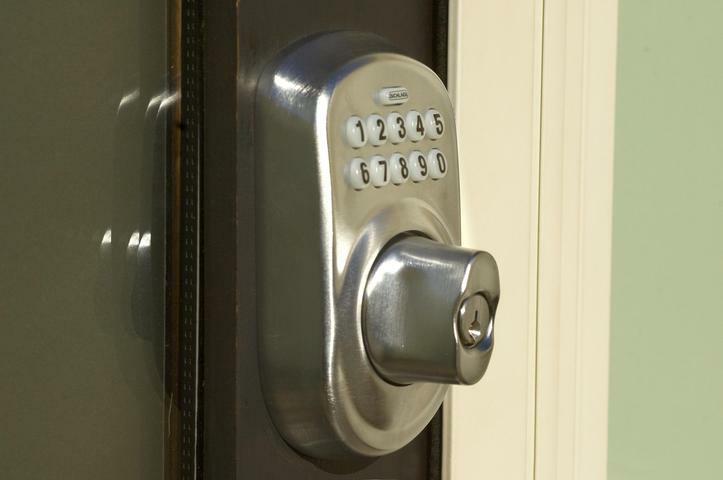 Access into each Staysouth property is by lockbox or digital keypad. 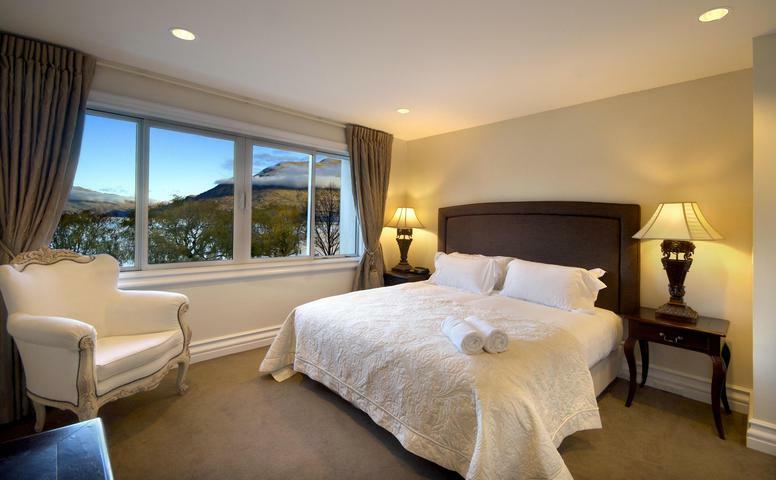 Staysouth will email the Guest approximately 10 days prior to the booked check-in date with all information required to access the property. •	Each Staysouth property has a maximum number of guests allowed – if this occupancy limit is exceeded, guests will not only be charged a penalty fee, they may also be evicted from the property. •	Any Guest making a booking must be over 25 years of age and all/any guests unaccompanied by a parent or guardian must also be over 25 years of age. 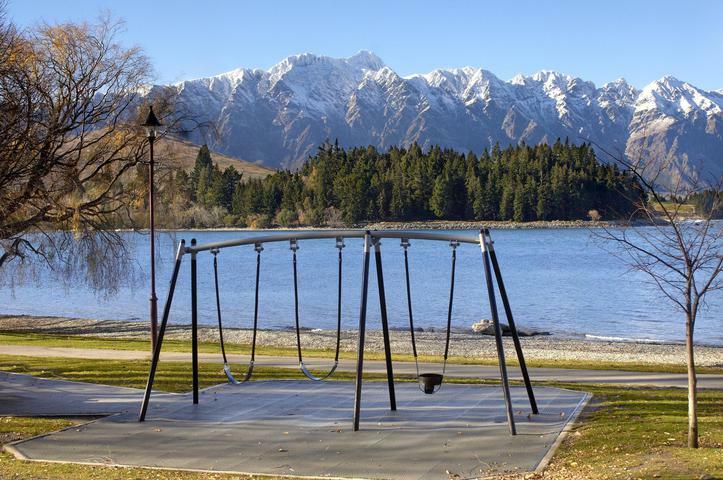 Esplanade Queenstown welcomes families with children. Cots, high chairs, car seats, roll-away beds etc are all available for an extra charge. Please request these prior to your arrival.